The Invicta 1516 force diver watch is simple and beautiful. This timepiece is easily affordable, has a sleek look and is great for everyday use. With reliable Japanese quartz movement this watch has all the features you need. This piece also has three subdials with 60 second, 60 minute and 1/10 of a second, white luminous hands with a red second hand and a tachymeter scale on the inner bezel. One criticism to the design might be that the crown and pushers are located at 9:00 instead of the typical 3:00 position. That makes this watch effectively a “Lefty” watch. This is truly a beautiful watch. It can be dressed up or down; worn casual or formal. It has a masculine, sporty feel and is meant for everyday use and long term wear and tear. The band is leather on the inside and cloth on the outside. 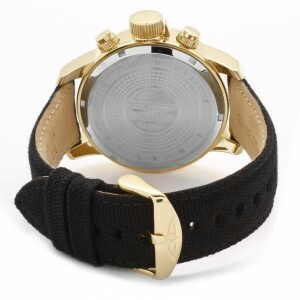 The leather gives the comfort and the band adds to the style and aesthetic appeal. The dial may be a bit large, but this is a style and preference issue. It may put off some but may appeal to others, especially who don’t want to strain and squint their eyes to read the time. Not only is this a stellar addition to any collection but it’s highly affordable. It retails at a cheap $695. But bizrate.com puts the average sale of this watch closer to $100. On amazon and sharkstores.com you can find it for $99. This is an amazing deal for a great quality watch like this. Buy it for yourself. Buy it for a loved one on a special occasion whether it be for the holidays, an anniversary or a graduation. 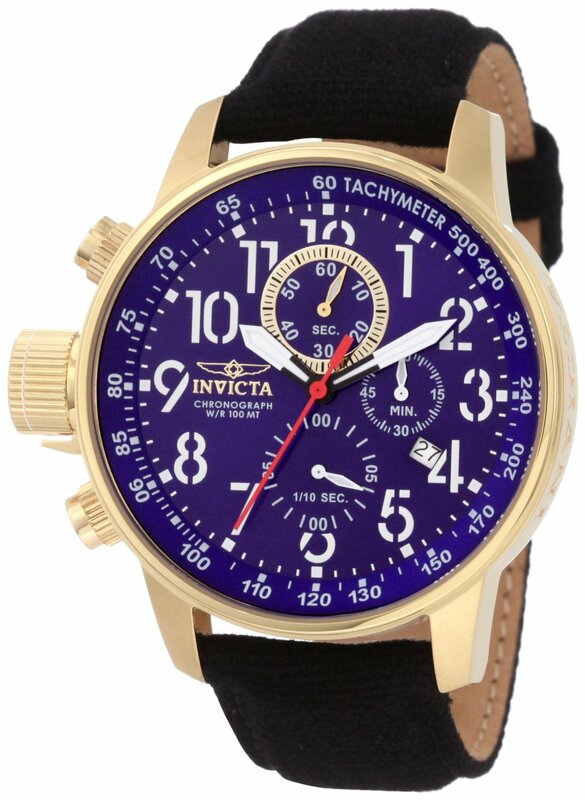 Like all Invicta watches it also comes with the WatchOnNet warranty, which covers the piece for 24 months for most repairs and complications that might arise. This is all in all, a comfortable watch that will last. It will draw attention but also remain inconspicuous. And at such a affordable price, how can you say no?